This week, SuperCar Guru brings you another awesome product's review. For all those that complained because the last review was not available worldwide, here we are with one that is available everywhere. This time, we are reviewing the renowned Vava Dash Cam. Many of you most probably know about this or have heard about it. In this article, we will go into details about the specifications and features of the camera. We will also show you why the Vava Dash Cam is the best for your car. Make sure to read the full article. Hmm...What is Vava Dash Cam? The Vava Dash Cam is an advanced dash camera developed and manufactured by Vava, an award-winning company for its innovations. They launched the dash cam in January 2017 and till now, it is one of the best dash cams on the market. 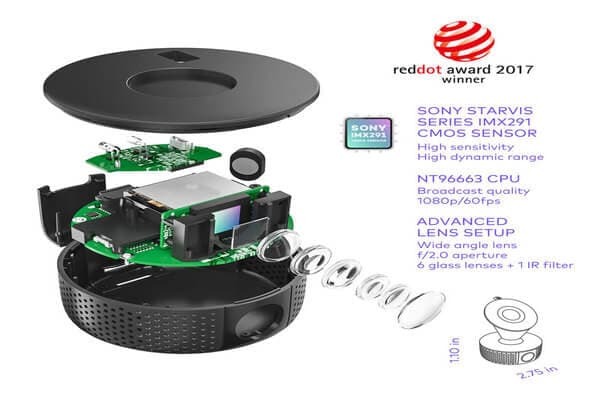 The number of features that this camera has, no other company could outrun it. In every aspect, the Vava Dash Cam is the best. Reliability, practicality, affordability, simplicity to name a few. The Vava Dash Cam is loved by everyone. Basically, everything you dreamt of having in your car is in this. It is small and practical but it packs some serious features that you all gonna love. In terms of affordability, it is relatively cheaper than some other dash cam. Yes, you have more features and you pay less, cool right? What is so special about the Vava Dash Cam? The dash cam in itself is very special. 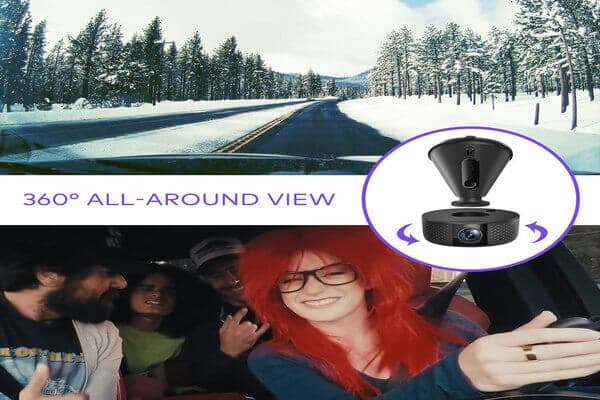 Let us take you on a tour to show you how amazing Vava Dash Cam is. Beware you will feel bad for not having one right now. The Vava Dash Cam is equipped with an advanced Sony Starvis Series IMX291 CMOS sensor paired with 6 glass lenses and an infrared lens. This powerful duo will provide you with sharper captures during the day and at night. There is no more blurry videos or images that make it difficult to understand what clearly happened. 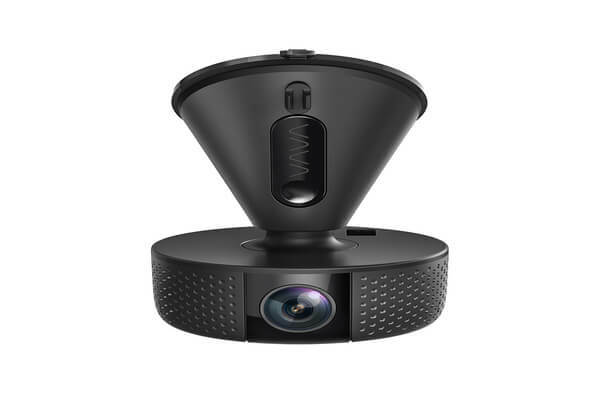 The Vava Dash Cam not only capture the road ahead but also it can capture what is happening inside your car thanks to its 360° rotating design. 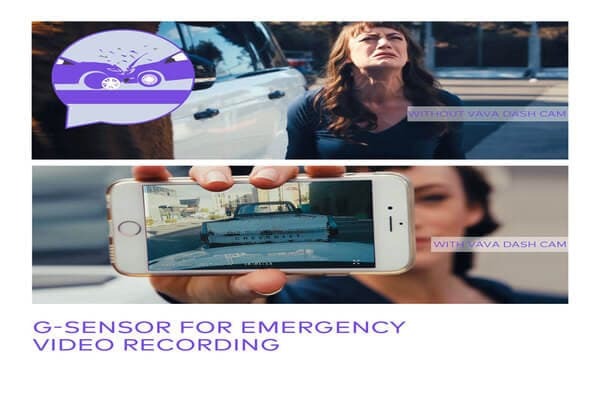 Many among us love to record a video of the fun happening inside the car on a road trip or even want to take a picture while being on the highway. If you try to take out your phone, navigate to the camera and then click the picture, it is risking your life as you will tend to be distracted from the road. 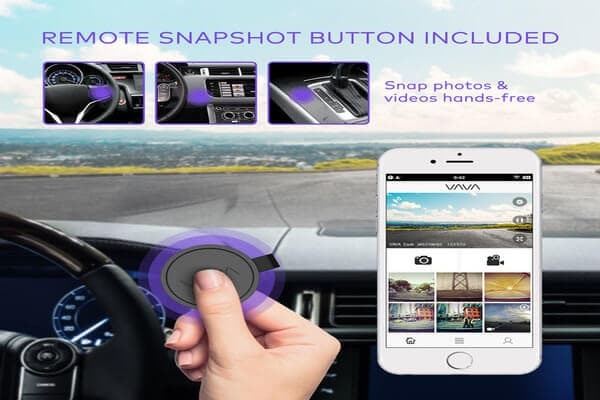 The Vava Dash Cam makes life easier with its Snapshot Remote Button. Just click on the button and here is your awesome photo. Moreover, it has a built-in mic that also records sound inside the car. The Snapshot Remote Button most of the time is placed on the steering wheel. It lets you capture unexpected things as it is crossing your path. The wide-angle lens cover up to fives car lane. Most probably the only dash cam that can do that. The Snapshot Remote Button lets you also shoot videos up to 20 seconds long by a longer press of the button. You can share your photos and videos on any social media or with your insurance company without the need to remove the SD card. The app also includes GPS tracking, live video feed, travel journal and photo filtering functions. This is one good feature for a dash cam. The integrated 3-axis G-sensor can detect a collision and captures the actual footage for up to 20 seconds, which is a lot of time in an accident scenario. What if the car was off at that time? Well, Vava thought about it all. There is a 3200mAh built-in battery for the G-sensor to activate recordings in parking mode or simply when the engine is not running. This way, even if you park your car and went away, you will know exactly at the time of the accident, what has happened. No one can fools you now, at least not when you have a Vava Dash Cam. This is not common with other dash cams. Vava will literally provide you lifetime technical support and timely software updates*. Well, who would not appreciate this? You are sure that your dash cam will always function properly and will never let you down when you need it. *Warranty may vary according to store and region. If these are not enough for you, let's see what some well-known brands have to say about the Vava Dash Cam. Vava created something unique and convenient for everyone. It is a must to have a dashboard camera in a vehicle nowadays, but why go for an ordinary one when you can get Vava Dash Cam. That's awesome...I want one...Where do I order? If you are interested in getting one, you can simply order yours on the link below. The best part is that you get free shipping and if there is an issue with the product, you also get a free return. All the Vava Dash Cam come with an 18-month warranty, which is more than enough, believe me! 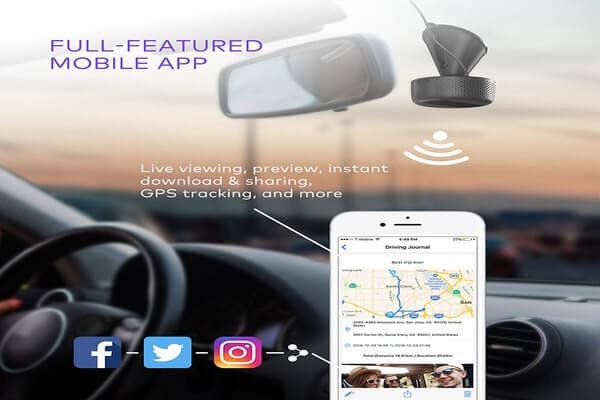 If you like our article on the Vava Dash Cam, please share it on any social platform of your choice. It really helps us to keep creating awesome contents for you. Also, if you have questions, tips, recommendation or anything else, feel free to write it down in the comments section and we will try our best to reply to all of them. Don't forget to subscribe to our newsletter for hot supercar related news and also to be the first one to know when we upload a new blog. Damn...that's awesome. I need one. And finally something that everyone can benefit from. Don't forget to use the code when buying...Hehe, yeah! 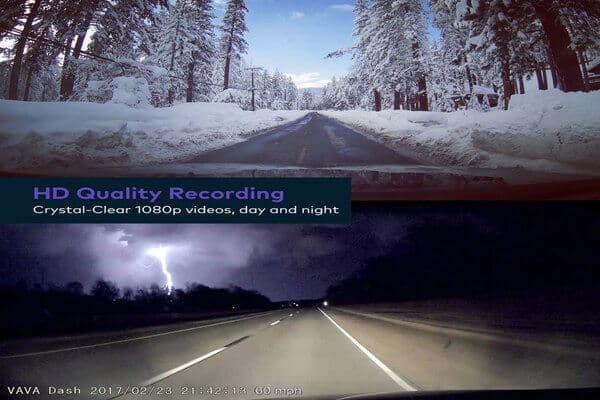 Two, dash camera reviews they give insurance against degenerate cops that have been known to fine drivers that hadn't done anything incorrectly.